The Two Buck Chuck nickname is a bit of a misnomer in this day and age of inflation. Still, that’s about all this is worth – with its watered down body and astringent flavours and aromas. But let’s be honest – what was I expecting? Actually, I was expecting that by now this would be vinegar. So, the mere fact it wasn’t is amazing. I was looking in the basement archives for a bottle of something to make sangria with and found this in a corner. Really, I should pay better attention to my cataloging system. For those who don’t know, this is a bottle of the famed Two Buck Californian Chuck. You can read here for the background on this brand and all the intrigue and controversy surrounding it – and the MOG that’s in it (Material Other than Grapes). A LOT of people buy Charles Shaw. Motivated by price and perhaps needing a wine for their spaghetti sauce or chili, or whatever, they buy it. Tons of it – like, about 5 million bottles a year of it. That said, artisanal it is not. Nor will it ever be. And it doesn’t taste anything like Merlot should taste. On the eyes, it’s a thin shade of garnet. The aromas show red cherry and medicinal alcohol, which is surprising as it’s only 12.5% abv. The palate is dry with surprisingly medium plus acidity, but it has an extremely light body as if its been watered down. Flavours show cherry juice with a whiff of cardboard. WSET Acceptable / Faulty. It depends how badly you want to make sangria as to whether or not this should be tossed or recycled with fruit juice and brandy. 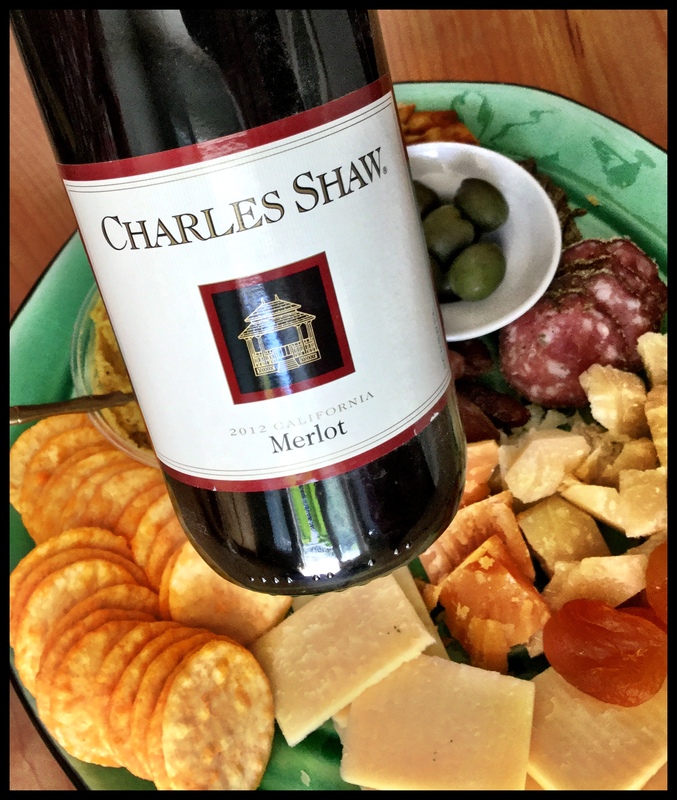 This entry was posted in California, Merlot, OTHER, RED and tagged california, charles shaw, crappy wine, faulty wine, merlot, red wine, Sangria, two buck Chuck, US. Bookmark the permalink. Last night Shaunna and I had a delicious Obra Prima from Quinta Feriera in Oliver. Yummy! Are you guys around next week? Yes we are! Have guests with us Friday though!